What’s It Like Living in Barrhaven? Are you looking for a place to settle down, start a family, and call home? You won’t have to look further than Barrhaven! Barrhaven is a rapidly expanding community that appeals to many people. 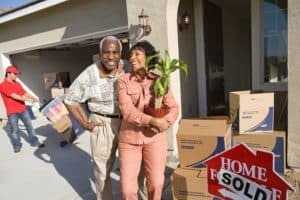 Here are some things you should know if you’re thinking of moving there. Barrhaven is a great neighbourhood for people looking for a variety in both home styles and prices. 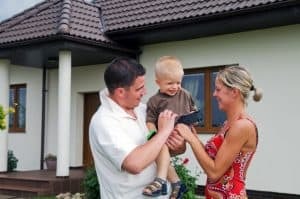 It is more of a ‘bedroom community’, which means it is a quieter location ideal for people looking to start a family, or young families looking for a new home. While Barrhaven has many pros, there are a few cons. Because it is a quieter community, it does not have as much to do for young adults as other neighbourhoods. If you’re looking for a wide variety of nightlife, or more hustle and bustle, Barrhaven is not for you. Barrhaven is also not ideal if you plan on commuting into downtown Ottawa or to some surrounding neighbourhoods by car. Barrhaven – or as some people affectionately call it, Farrhaven – is far enough out of the way that you would have to leave very early or much later to avoid rush hour traffic that can add a lot of time to your commute. If you depend on OC Transpo to get around, there are some transitways to take you exactly where you need, but again, you may find yourself at the mercy of rush hour and the bus schedule when going to and from work. Barrhaven, Ontario was created in the 1960s as part of a group of suburban areas built across the Ottawa Greenbelt. The boundaries of Barrhaven are Fallowfield Road in the north, Strandherd Road to the south, Greenbank Road to the east, and Cedarview Road to the west. Since 2006, the population of Barrhaven combined with Gloucester-South Nepean has grown from 63,700 to over 106,000 in 2015. As the population has grown, so has the number of new homes being built in this neighbourhood. This makes it ideal for people looking for homes with little to no renovations and repairs. How Good are the Schools in Barrhaven? The following is a list of public schools in the Barrhaven area, with their Fraser Institute’s* ranking. For more information of school programs and amenities, please contact the Ottawa-Carleton Regional School Board. Offers multiple extracurriculars, triple track education, and Safe School programs. Among many extracurricular activities, Barrhaven Public School offers a Playground Activities Leadership program for older students. Berrigan offers 7 different academic programs and 11 clubs, along with multiple after school sports activities. Chapman Mills opened its doors in 2013, and offers a wide range of extracurriculars that encourage community involvement, like the annual Terry Fox Run. Farley Mowat is a school with many cultures; over 42 languages are spoken besides English and French. They also put a lot of emphasis on being a part of a community and recognizing each other’s accomplishment through their ‘Wolf Pack’ assemblies. Half Moon Bay is a new school that started in 2016, but is already a great place for kids to learn, with educators committed to making school joyful and interesting. This long established school has plenty of space for activities, and is situated across from the Ruth E. Dickinson Library and the Walter Baker Recreation Centre. Mary Honeywell has four specialized system classes, making it an excellent option for students who require alternative learning styles. John McCrae is a comprehensive community-focused school with many modern resources like computer and art labs. It has several academic departments and special programs, as well as extracurriculars monitored by enthusiastic teachers. This school plays host to several community events, and encourages students to be involved. Outside of academics, several students have participated in city-wide leadership programs. *The Fraser Institute rankings use publicly available data like average scores on provincial testing, but may not show the complete picture of how well the school is doing. What Sports and Recreation are Available in Barrhaven? Both the Walter Baker Sports Centre and the Minto Recreation Complex are equipped with pools and ice rinks. Walter Baker has a fully equipped fitness centre, and Minto has a state-of-the-art artificial turf field. With plenty of activities for both kids and adults, you’ll be able to stay active with no problems. With a growing population to feed, Barrhaven has become home to some top-notch eating establishments. Here are a few you should definitely check out. La Porto a Casa is an Italian eatery in Barrhaven Crossing with a 4.3/5 rating on Zomato. The name, which means ‘bring it home’, reflects the owners’ original idea to sell homemade sauces and fresh pasta to go. People were so in love with the food that 6 months after opening in 2005, it became a restaurant. Now their fine dining menu includes all the classics, and is a must-eat destination. At Pinelopi’s Greek Kitchen, they believe food and drink is one of life’s great delicacies, and they make sure you enjoy it. The food is fresh, flavourful, and unmistakably homemade, as reflected in their 4.3/5 Zomato score. The atmosphere is family-friendly, and one reviewer says you shouldn’t be surprised to get a hug on your first visit. If you’re looking for something more on the casual dining side, you should try Barrhaven Vietnamese. With a Zomato score of 4.2/5 you know it’s good. Reviewers are consistent with their comments about flavourful, warm food served by people with warm hearts. What Kind of Shopping is There in Barrhaven? As Barrhaven expands, so does its shopping selections. Whatever you need, Barrhaven is bound to have it. Ideally located at the intersection of Greenbank, Strandherd, and Jockvale, Barrhaven Town Centre is home to some of the biggest stores in the area, including Best Buy and Bed Bath and Beyond. A stone’s throw from the Barrhaven Town Centre, Chapman Mills Marketplace is home to some of the other big names in shopping and entertainment. This includes Cineplex, Walmart, Winners, and Chapters. These stores are spread out over a large space that includes plenty of parking. Strandherd Crossing lays in the east end of Barrhaven, and has a large variety of smaller shops for people to browse through. It is the largest shopping mall in the neighbourhood, and provides ample parking to accommodate everyone who visits. The Barrhaven Mall is a smaller site, but has a lot of character, and everything you could need for a quick shopping trip, including a Food Basics, Pharmachoice, and hair salon. It even has a medical centre! What Can You Do for Fun in Barrhaven? Barrhaven is home to a lot of fun activities and entertainment – you just have to know where to look for it! The Barrhaven Legion often hosts events for residents, like stand-up comedy nights and holiday fundraisers. Barrhaven also plays host to several festivals throughout the year, like Oktoberfest, Ottawa’s biggest fall celebration, and the Fall Harvest Music Festival. Keep an eye on local news to find out what’s coming to Barrhaven once you move there! Barrhaven has expanded quite a bit in the last few years and is now one of the most populous neighbourhoods. That means more services have been added over the years to make Barrhaven one of the most convenient and comfortable communities to live in. 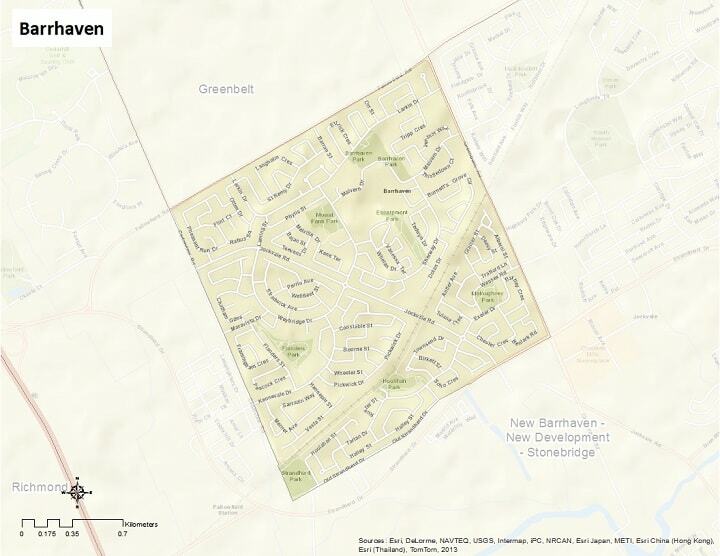 Does Barrhaven Have a Lot of Green Space? Some of these parks have jungle gyms for kids, wide open spaces for dogs (and kids), and some have both. What they all have in common is fun and fresh air. Do you think ‘The Haven’ sounds like the perfect place for you? Let us help you get there! 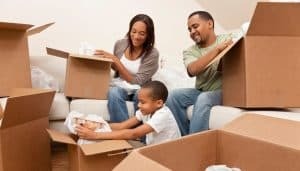 We’ve been moving in Ottawa and beyond for 110 years, so you know we have the experience and the professionalism to move your belongings safely and on time. 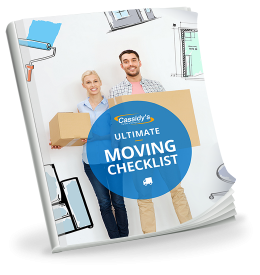 All you have to do is ask for your free moving estimate! Some people are so focused on getting packed that they forget to organize what happens in their new home. These tips will help you get things back to normal as quickly as possible. The "best" neighbourhood means different things to different people. What makes our guide special is that it starts with your lifestyle and suggests some of the ideal neighbourhoods to match. Living in Kanata comes with a lot of perks. From shopping to dining to crowd-rousing events, we can guarantee one thing; when you move there, you’ll never be bored.